DARPA's Grand Challenge looks to clean up the airwaves. 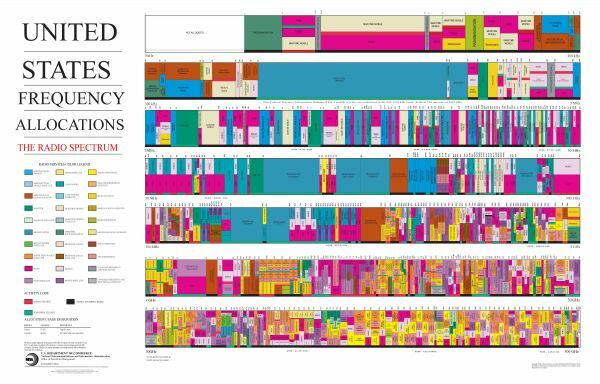 As the world becomes more connected wirelessly, managing the increasingly crowded electromagnetic spectrum will become more important. This is what DARPA wants to address with its Grand Challenge, a call to develop solutions for allowing machine learning technology to efficiently manage how devices use up bandwidth. This Spectrum Collaboration Challenge (SC2) was created to push for the development of technology that would enable wireless devices to better work together in terms of occupying bandwidth. The premise of SC2 revolves around the idea that wireless devices that use up bandwidth can cooperate with each other rather than fighting over bandwidth. Very few of these devices actually need to use up bandwidth at all times, which makes it possible for an A.I. to manage which devices take up bandwidth at certain times. During the International Wireless Communications Expo (IWCE) in Las Vegas, DARPA announced SC2 to an audience of 8000 engineers. The challenge will run from 2017 to 2020 and culminate in a live event where DARPA will award a $2 million prize. DARPA will also be building the world’s largest wireless testbed, called the “Colosseum,” in order to host the event. The Colosseum will act as a controlled environment that would allow researchers to conduct large-scale tests in a simulated real-world setting. A Broad Agency Announcement for the Spectrum Collaboration Challenge will be released by DARPA. You can learn more about SC2 on their website.